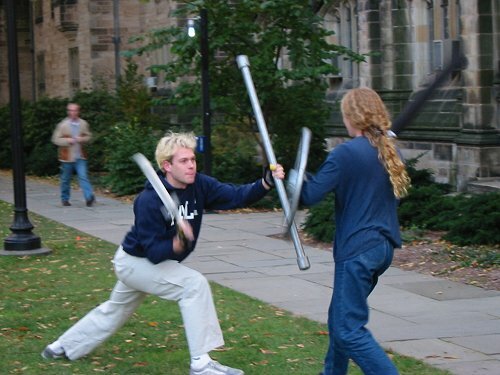 The Freestyle Dueling Association caters to the baser gladiatorial instincts of the student body at Yale while promoting awareness of boffer-safe combat. Now in its sixteenth year, the FDA continues to offer instruction and smashing entertainment for anyone who wants to know how well they would really fare in medieval-style combat. With foam.